The Bank of England has reportedly frozen £1.2 billion ($1.56 billion) of the gold reserves it holds for the Venezuelan regime just days after the UK and other European leaders recognised Juan Gauidó as the country’s leader. Venezuela has been crippled by high levels of poverty and inflation under Nicolas Maduro’s government, which has been aggressively selling its gold reserves to raise funds. A number of countries, including the US, have now called for regime change in Venezuela as the economic situation worsens. The Bank of England is said to have frozen Venezuelan gold assets worth $1.56 billion in another blow to Nicolas Maduro’s government. Venezuela has been trying to repatriate its gold reserves, which the Bank of England holds, since late last year. Citing civil service officials, The Times reports the UK’s central bank has now frozen access to those reserves. It comes after Juan Gauidó wrote to UK Prime Minister Theresa May and Bank of England Governor Mark Carney, asking them not to grant Maduro access to Venezuelan gold reserves at the bank. Venezuela’s government has been aggressively selling its gold reserves in order to fundraise as the country’s currency, the bolivar, becomes increasingly obsolete as inflation passes the 1,600,000% mark. The US recognised opposition leader Juan Gauidó as the country’s legitimate leader last week, and a number of European countries followed suit soon after. The situation in the country has become increasingly stark with Venezuelan citizens suffering from poverty and weight loss as well as increased violent crime. Some citizens have been driven to illegally mine for gold in the country’s national parks just to afford basic foods such as rice. 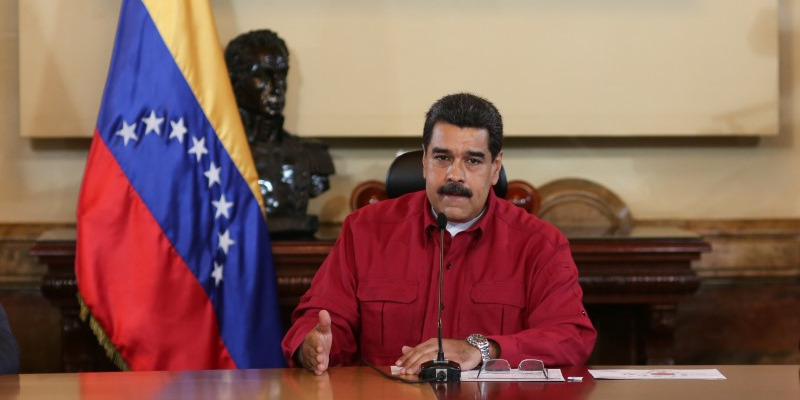 Maduro has refused calls to hold new elections this year from the US and EU. Tens of thousands of people have been protesting his regime over the past few months. Maduro has presided over one of the worst economic crises, leading to hundreds of thousands of refugees fleeing Venezuela.